We caught up with ski instructor, Jess, who completed her level 1 ski instructor course in Canada nearly three years ago. Jess always had a desire to travel. So, midway through her university degree, she decided to leave the UK and head to Canada for a gap year. Three years on, Jess is still travelling the world working full time as a ski instructor. She gave us a sneak peek into what a day in her life looks like. Q: Why did you decide to become a ski instructor and what were you doing before? I was at university studying towards my degree in psychology. Going directly from high school to university had me a little burnt out. I'd always wanted to travel, and I loved skiing, so I applied for a ski instructor course with EA that came with a guaranteed job offer. Next thing I know, I’m in Canada sitting my level 1 ski instructor exam. That was three years ago. I've never looked back! Q: What does a typical working day in Canada look like? I usually wake up in the morning around 7:30am and have breakfast. Often, it'll be a hot bowl of oatmeal, but if I'm in a hurry, I'll stop and pick up a maple bacon doughnut and a coffee on the way to work. I'm skiing all day, so I don't feel too guilty about my doughnut breakfast. Once I get to the ski resort, I get changed into my uniform and head out for 'lineup.' Most days, I'll have two beginner group lessons - one in the morning and one after lunch. Lessons run for two hours and most of it is spent on the learner slope teaching beginners proper skiing technique and helping them become more confident on the snow. I love working in a mountain environment. Most days I'll head up the mountain for a few runs myself once my afternoon lesson has finished. During peak season when it's hectic, I usually head home in the evenings and chill with my roommates. However, most days I'll catch up with the other instructors and head into town for a beavertail, or to another local spot for a drink - if you're working at the resort, you generally get pretty good deals at most of the local bars and restaurants. Q: What do you love most about living in Canada? 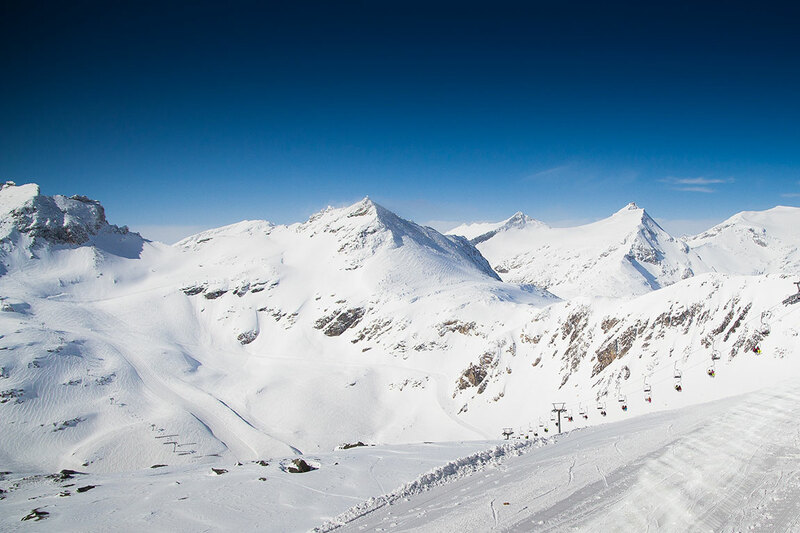 Canada has a huge range of ski areas on offer. There are so many places to go and check out. Also, the people I’ve met while working in Canada are great. We started as a group of strangers, but now I refer to them as my Canadian family. The scenery in Canada is pretty amazing too. Banff has my heart. Also, let's not forget about the snow! Canadian powder is unreal. Q: What qualifications do you need to work as a ski instructor in Canada? I did my ski instructor level 1 course with EA Ski & Snowboard and obtained my CSIA level 1 exam. Level 1 is the minimum you need to teach learners in Canada. We also trained for our CSIA level 2 qualification, which I'd recommend doing as you can use your ski school experience. Level 2 is the standard level if you want to teach in other ski resorts around the world. Q: Do you have any words of wisdom for anyone considering becoming a ski instructor? Life in a resort town is much fun and extremely social. Every day you meet someone new, and the parties are much fun. But it’s important to remember ski towns are small, so everyone will know what you did last night – sometimes even before you do! Unless you have connections on a ski field, I would recommend applying for a ski instructor course. Even with your level 2, it can be hard to get a job in the ski industry without connections or experience. What's incredible about the ski industry is once you're in, you're in. An instructor course will help you get your foot in the door, and the training will make you a better instructor. Q: What are the pros and cons of being a ski instructor in Canada? The perks are great! You get a free season ski pass, loads of discounts at bars, restaurants and shops in town, you get to ski every day, and you meet some of the coolest people. There are also endless opportunities to upskill and become a better skier. Some of the clients you have in your first season end up being clients year after year, and they take you in as a second family. The bad thing about being an instructor is your work is heavily dependent on the weather. Like, if the weather is nasty, but the mountain is open, and you're rostered on, you can't go home and watch a movie next to the fire as a normal person would. Q: What are the pros and cons of Canada as a place to live? Canada is the ultimate destination to become a ski instructor. It’s ideal for weekend road trips. There are so many resorts dotted around the Canadian Rockies that are worth checking out on your days off. Often you can get an excellent price with your employee card at these places too. Also, Canadian people are friendly and hospitable - you're made to feel welcome wherever you go. One con is you will need a car if you want to make the most of your time in Canada. There is The Greyhound bus, but, if you're going to get out and explore, it's worth investing in a set of wheels. Why SHOULDN’T you do a ski instructor course? What's it like doing a ski season in Japan? Is the ski instructor exam actually hard? Should Snowboarders Become Ski Instructors?